This was a Christmas hike. When Santa Paula Creek branches above Jackson Camp you take the left branch, there is no trail, and it’s about another 2 hours to get here. The branching is about 2 hours above the Punch Bowl. 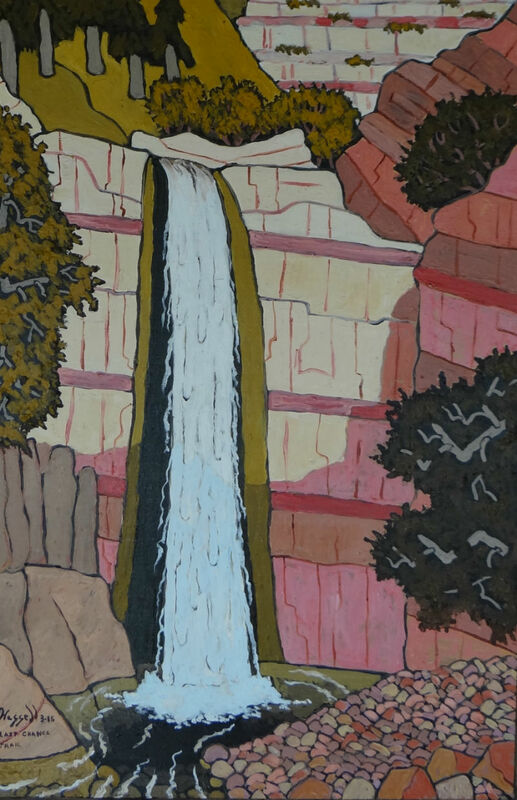 The Falls are about 90 feet high, and I have depicted them as in a heavy rain season.